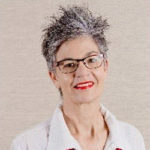 Jana is a professional nurse educator and manager who obtained the BA.Cur (Nursing Education and Management) from UNISA to underpin her passion for teaching. During the past 30 years she taught nursing subjects at pre- and post-graduate level and personal development skills at various institutions. To stay current in practice, Jana develops health promotional articles; works part time in clinical nursing and the occupational health industry; and follows a wide-ranging professional development program. A strong belief that every person can learn something in any situation; and that it is an individual’s privilege, right and responsibility to be open to learning and teaching keeps her motivated. She enjoys learning, reading and travelling locally as well as internationally. Fortunately, she was able to holiday in Europe, the Middle East and Africa, move to a new house more than 35 times over a period of 35 years and taught courses in various African countries.